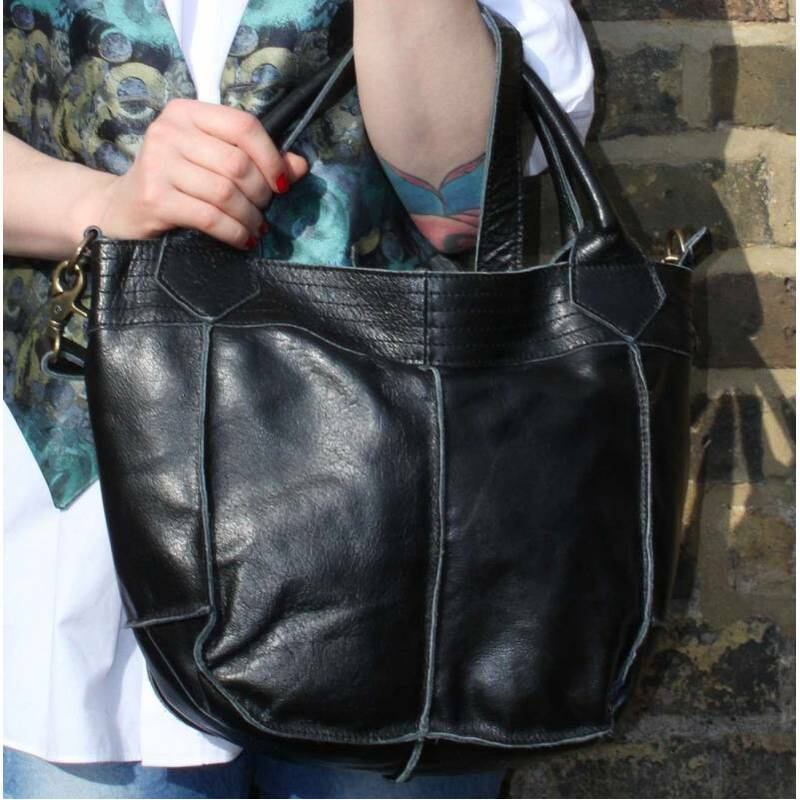 This small tote bag in black leather has a waterproof lining and internal pockets. 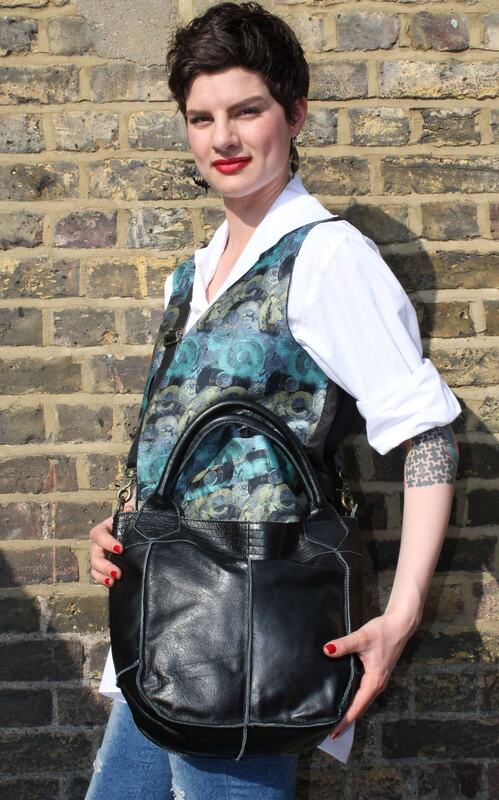 A beautiful soft rolled shoulder or elbow handle and a long detachable and removable strap for cross-body or shoulder functions. 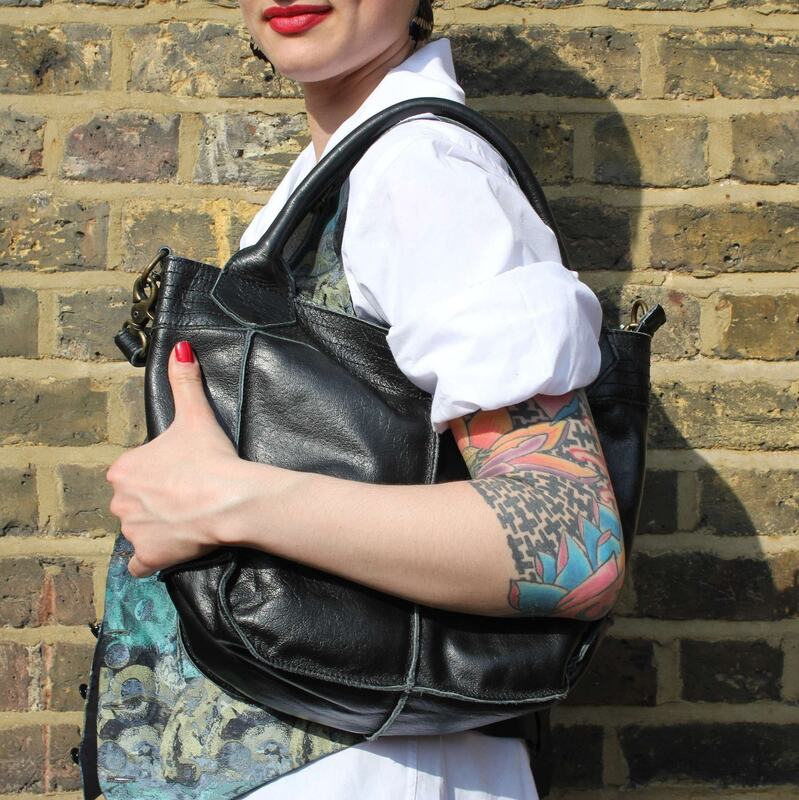 Our bags are guaranteed quality with our own label Odilynch on each and every one. Our fittings are brass and our zips are YKK and made by our crew of master craftspeople. Top to bottom 40cms including handle, 29 without handle top to bottom, 39cms wide at the top, 32 at the bottom, rolled shoulder handle is 40cm long, detachable strap extends to 110cms. 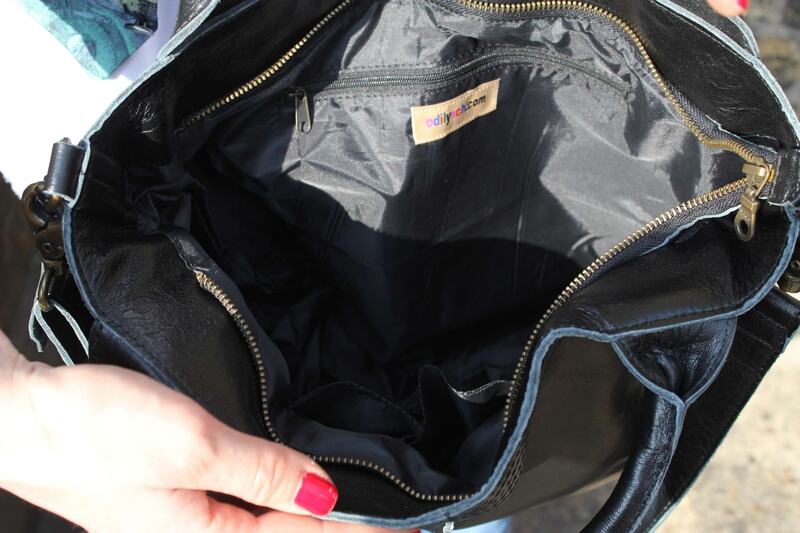 Small internal zip pocket is 18x15, 6x10x5cms phone internal pocket.